Langley United Methodist Church of Whidbey Island, Washington sponsors a free community screening of Inlaws & Outlaws at the Clyde Theatre on Sunday, April 25th at 1 pm. Seattle-based filmmaker Drew Emery will be in attendance for a Q&A after the film. How: Admission is free and open to all. 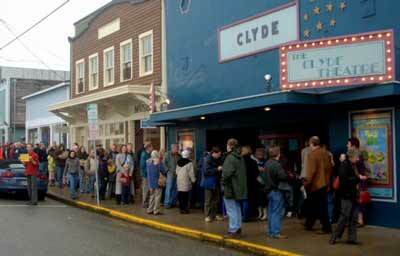 A community treasure, the Clyde Theatre has been bringing film, performance and special events to Whidbey Island since it was built in 1937. "We invite and welcome persons of every age, gender identity, sexual orientation, racial or ethnic background, marital, social or economic status, physical or mental ability, political affiliation, or military status into the full participation in the life of this faith community."